Founded in 1988 Pipemore Scotland has grown to be one of the country's premier suppliers of valves, pipes, pipe fittings, hoses and pneumatics. The staff at Pipemore have many years of experience in sourcing products. We only deal with industry-leading manufacturers to provide quality products with a friendly service. Pipemore supply a wide range of process valves throughout Scotland. Valves in materials such as stainless steel, brass, cast iron, cast steel, UPVC, ABS, polypropylene and many other materials can be supplied. 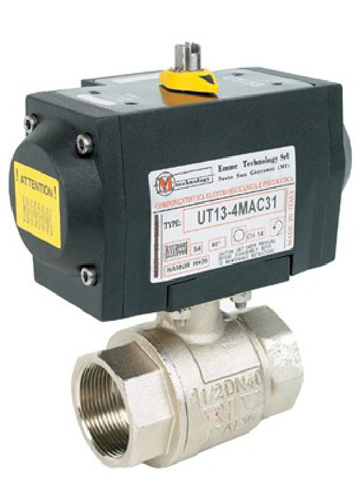 Valves with electric actuators, pneumatic actuators, gearboxes, positioners, limit switches and many other accessories are available as required. Pipemore are pneumatics specialists with years of experience and technical knowledge. We are a premier distributor for Festo Pneumatics with their large range of high quality products, and we also stock and supply products from many other major pneumatics manufacturers. Large stocks of push in fittings, compression fittings, air treatment equipment, pneumatic tubing and all sorts of pneumatics accessories are held in stock. Pipemore supply pipes, hoses and tubes of many types. Steel pipe, galvanised pipe, copper tube, stainless steel tube, nylon tube, polyurethane tube, PTFE tube, PVC pipe, ABS pipe, rubber hose, PVC ducting and hose are all stocked. If you have any requirements for pipes and tubes, contact Pipemore. Pipemore stock a vast range of pipe fittings. Threaded fittings and adaptors, push in and compression fittings, solvent weld PVC and ABS fittings, quick release couplings of many types are supplied to clients throughout Scotland. © 2019 Pipemore Scotland All rights reserved.